Growing up near the beautiful beaches of Southern California and Sydney, Australia, Karina has always had a love for the ocean. As a child her passions included competitive swimming and gymnastics. Later in life she transitioned her workout to yoga (what she considers the adult version of gymnastics), which she has been practicing now for over 15 years. In 2012 Karina left Colorado and returned to her beachside roots, moving to sunny Redondo Beach, CA, where a neighbor introduced her to a standup paddleboard. Despite falling 3 times into the open ocean on her first foray, she was hooked. She felt a balance and stability that was both challenging and addicting. Countless days were spent embracing the cardio core workout of chasing sea lions, dolphins, and whales around the Pacific. One day a friend said “Did you know you can pair your two loves—yoga & SUP?” She attended her first SUP Yoga class in 2013 and hasn’t looked back. She has since been inspired to obtain her YOGAqua SUP Yoga teacher certification, as well as the RYT 200-hour teacher training certification during a month long retreat in Nicaragua. Balance on and off the mat (and board) is paramount to her. Karina leads classes with an inclusive approach, a heartwarming message, and a physical challenge that will leave you feeling accomplished. 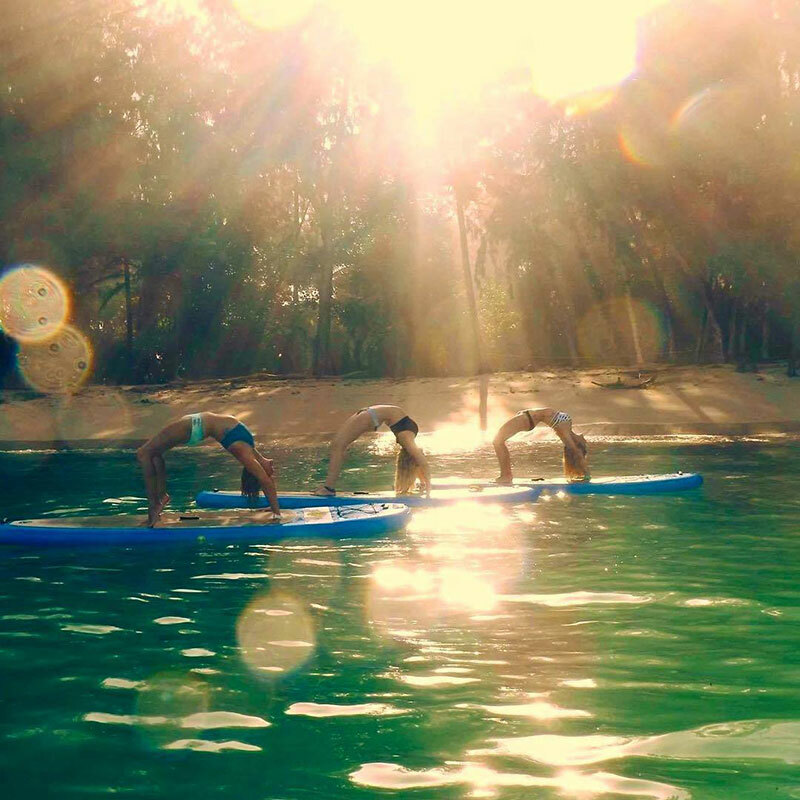 What BOGA Yoga is to me: BOGA Yoga helps me bring my favorite things together – yoga, ocean and adventure. The BOGA community has brought together an amazing community filled with friendships and inspiration. Favorite activities besides Yoga: SUP, observing marine life, hiking, walking my dog, cooking, traveling. Favorite pose: Handstand. I love to be upside down! Best thing about SUP Yoga: Being outside and on the water while practicing yoga. It is difficult for me to be inside 4 walls now that SUP Yoga is in my life. Daily Ritual: Look at the ocean or whatever body of water I’m close to. It helps me reset and be at peace. Why do you teach Yoga: When I teach, I love to create an inclusive and communal experience where everyone is connected. I am continuously inspired by other yogis on how they move through life on and off the mat. Personally, yoga helps me find balance in life.